Anyone interested in posting an internship/job opportunity on this webpage should e-mail William Herrera at williamh@seas.ucla.edu. Please make sure to cc jobsinternships@seas.ucla.edu so that your internship/job opportunity is posted right away. All Industrial Affiliates and other company employers are also encouraged to post their current job/internship opportunities on UCLA BruinView through the Career Center. Penn State’s Department of Mechanical and Nuclear Engineering is accepting applications for an 10-week paid undergraduate summer research program in the nuclear field at Penn State—the Toshiba-Westinghouse Undergraduate Fellows Program, which provides an opportunity for undergraduates to obtain hands-on research experience and professional development in the nuclear field at Penn State. The program runs from May 30—August 4, 2016. Fellows will receive a $6000 stipend as well as on-campus housing. Applicants must have completed their sophomore year by the start of summer 2016 and have a minimum GPA of 3.0. We will accept applications from November 1 through January 31, 2016. Questions should be directed to the Program Coordinator, Lori Miraldi, at TWFP@psu.edu, or visit www.mne.psu.edu/twfp. The engineer will be a member of a small creative team dedicated to look into the future of connecting various sensor networks for various use case application, come up with novel ideas and implementing attractive proof of concepts leading to new businesses. Position requires an MS/PhD in Computer Science, Electrical Engineering, Computer Engineering, or a related discipline with relevant R&D experience. Applicants should be comfortable in all levels of software development from microcontrollers to application development. Candidates are requested to send a resume to hr@ytca.com. Reply to code MVCT. The Northwestern University Materials Research Science and Engineering Center offers a 9-week paid summer research internship to undergraduates. They conduct research in many areas of materials science including: nanoscience, polymers, biomaterials, conducting oxides and molecular plasmonics. Undergraduates majoring in any science or engineering field are encouraged to apply. Only U.S. citizens and permanent residents are eligible. The stipend is $4,500 plus on-campus housing and travel; the program is funded by the National Science Foundation. Dates for 2016 are June 20 – August 19. Application deadline is February 15, 2016. For further information or to apply, visit: http://www.mrsec.northwestern.edu/content/educational_programs/reu.htm. Contact Dr. Aleta Hagman, mrc-reu@northwestern.edu, 847-467-0470, if you have any questions. As an intern you will be involved with design decisions from the ground level of bleeding-edge technologies in a startup-like environment. This internship will be located in MaXentric’s California office, downtown La Jolla. For theirwork with advanced wireless ad-hoc/mesh network development they are looking for interns that will help with development of new network routing protocols in both embedded Linux and Android environments. If you are interested in this internship opportunity, please send your resume to: jobs+internships@maxentric.com. FocusMotion is a leading movement algorithm startup for wearable devices, and they’re looking for an intern to join the engineering team to tag and label sensor data from wearable devices. The intern will also be involved in the process of tuning the machine learning algorithms to deliver optimal production models. Engineering majored, electrical engineering or computer engineering/science preferred. Pay is $25/hour, for 3-4 weeks at 7 hours a day. If interested, contact founders@focusmotion.io. Applicants should have strong machine learning background and familiarity with R, WEKA, RapidMiner, etc. Your responsibilities are to Build, Improve and extend NLP capabilities, research and evaluate new/different approaches to NLP problems, and produce deliverable results and take them from development to production in collaboration with our engineers. Send requested application materials to careers @ Oben dot me. You will be responsible for working closely with our design/UI/UX team and developing the iOS app which will manage the natural human interfaces for robotics. Applicants should have deep customer empathy and ability to quickly translate insights, whiteboard sessions, napkin sketches and water cooler talks into mockups, wireframes, and working proof-of-concept code. Send requested application materials to careers @ Oben dot me. The software development engineer will collaborate with senior machine learning researchers, engineers and speech processing researchers to lead the build of build consumer applications and prototypes which incorporate key technologies developed in-house. Send requested application materials to careers @ Oben dot me. As a machine learning scientist, you will collaborate with senior machine learning researchers, engineers and speech processing researchers, provide technical expertise to address supervised and unsupervised learning problems in an applied research and development environment, and develop & deploys modern machine learning and statistical methods (CART and Random Forests, clustering and classification algorithms, Bayesian models, neural nets, SVM etc.) for finding patterns/models from audio signals. Applicants should have Doctorate (Preferred) or Masters degree in Computer Science, Mathematics, Applied Physics, Applied Statistics or in Engineering. Send requested application materials to careers @ Oben dot me. As a member of the machine language translation team, you utilize your superior technical aptitude and deep understanding of Machine Learning and Natural Language Processing to create the best Machine Translation solutions for their algorithms. You should be comfortable to also work with a wide array of teams in areas of wellness, healthcare, marketing, business development, psychology, design, user experience and product development. Applicants should have PhD, M.Sc. in Computer Science, Electrical Engineering or Physics. Send requested application materials to careers @ Oben dot me. As a Speech Recognition Research Engineer at Oben, you’ll be working on several proprietary and stealthy projects in the audio space. Your work will encompass the whole scope of application development, including speech research, voice interface design, application prototyping, and development of their proprietary speech recognition engine. Applicants should have PhD (Preferred), M.Sc. in Computer Science, Electrical Engineering or Physics. Send requested application materials to careers @ Oben dot me. This position is concerned with research and development in statistical parametric speech synthesis. The work will have a particular focus on the development of structured acoustic models which take account of factors such as accent and speaking style, and on the development of machine learning techniques for vocoding. You will have a PhD in speech processing, computer science, cognitive science, linguistics, engineering, mathematics, or a related discipline. You will have the necessary programming ability to conduct research in this area, a background in statistical modelling using Hidden Markov Models, speech signal processing, and research experience in speech synthesis. Send requested application materials to careers @ Oben dot me. Oben is looking for a user experience designer with strong interests and capabilities in the design and development of engaging user interfaces and experiences. The ideal candidate will thrive in a work environment that requires strong problem solving skills and independent self-direction, coupled with an aptitude for team collaboration and open communication. Applicants should have experience in tangible user experience design experience for software, Web applications which leverage emergent technologies, and consumer electronics and/or mobile devices. Send requested application materials to careers @ Oben dot me. Join Oben as a Technical Program Manager and help build innovative applications and custom solutions. You will play a critical role in planning new systems architecture and technical direction for the company’s technology roadmap. You will be working with senior scientists, developers, business partners, and external vendors to ensure high quality deliverables. Candidates should have a strong software engineering background with the hunger to manage large-scale mission critical applications and web platforms. Send requested application materials to careers @ Oben dot me. Vrse.works is a Virtual Reality storytelling studio. This internship is ideal for a 1st year engineering student with a general knowledge of and passion for electronics – specific experience wiring, using soldering tools, interpreting schematics and technical specifications, and working with delicate electrical components preferred. Applicant should have good understanding of Electrical Engineering, be focused, detail oriented, and able to manage repetitive tasks with enduring accuracy and concentration. Please email a resume/CV and cover letter as a PDF, along with the job application with subject line “PAID ENGINEERING INTERNSHIP” to Tiffany Stubbert at tiffany@vrse.works. Established in 1999, the GMS scholarships awards talented underrepresented students with a renewable scholarship in the major and institution of their choice for their undergraduate years. Selected GMS scholars can continue to receive scholarship funding all the way throughout their graduate studies, if they pursue one of the program’s seven funded fields. Student must have a minimum cumulative GPA of 3.3 on an unweighted 4.0 scale, or have earned a GED. The HSF application opens January 1st and allows students to apply for multiple scholarships with one application! Awards range from $500-$5,000 and may be used for the institution and major of choice. Applicants should have a minimum of 3.0 GPA for high school students or a minimum of 2.5 GPA for college and graduate students. The U.S. Department of Homeland Security (DHS) Science and Technology Directorate Office of University Programs sponsors a 10-week summer internship program for students majoring in homeland security related science, technology, engineering and mathematics (HS-STEM) disciplines. The program provides students with quality research experiences at federal research facilities located across the country and allows students the opportunity to establish connections with DHS professionals. It is open to undergraduate and graduate students in a broad spectrum of HS-STEM disciplines and DHS mission-relevant Research Areas. Applications and supporting materials must be submitted at https://www.zintellect.com/Posting/Details/1468. Detailed information about the internships can be found at http://www.orau.gov/dhseducation/internships/. For questions please email dhsed@orau.org. The program consists of 10 weeks of research in a graduate-level lab, professional development seminars, and poster session. Applicants should have completed freshman year, have GPA of >3.5, and 2 letters of recommendation. There are 10 openings. Benefits include stipend, paid housing, and allowance for travel. The application opens on November 1, 2015 at: http://inbt.jhu.edu/education/undergraduate/reu/. Applicants should be college sophomores or juniors, major in CS, engineering, mathematics, chemistry, biology, and/or biophysics, be available for at least 10 weeks during the summer. To apply, submit the online form (https://docs.google.com/forms/d/1fcRSrtH59ianTnYBmMOxzFZ4_DNJiiIJCv1ui79pvIY/viewform?c=0&w=1) with required supplemental materials listed in the PDF. Deadline is February 1, 2016. There are 8 openings. Interns will receive housing, travel expenses up to $500, and a stipend of $4,500. Carl Thomson is looking for a self-motivated individual who has experience with writing code for apps. Preferably also a musician, to build a training app for musicians. Please send a small bio and any links to work/portfolio you have done to carl@carlthomson.com. Pay is by commission. The ACI Infosession on 7:30pm, November 4 is located at UCLA Career Center, Second Floor, Rm. 200. You can find out about Bain & Company’s on-campus recruiting events. To find more information, please visit www.joinbain.com/ucla. If you have any questions, contact Meghan Loehr, Senior Recruiting Coordinator, at Meghan.Loehr@Bain.com or Sophie Romans at Sophie.Romans@Bain.com. The Space Environment Modeling Group is looking for enthusiastic undergraduate students to join their team. Your tasks may include: writing and testing computer codes, plotting and visualizing data, maintaining and writing documentation for data and models, website development and maintenance, some server maintenance, working with or managing your peers, and contributing to a team environment. Please send an e-mail to semg@epss.ucla.edu with your resume, explaining your knowledge and experience. Becton, Dickinson and Company is actively recruiting thesis-based Master’s and Ph.D. students with a traditional engineering or life sciences background for their Technology Leadership Development Program (TLDP). The TLDP is a well-recognized, early-career, rotation program to accelerate professional development of high-potential candidates for key leadership roles across all aspects of innovation within BD. For any further questions regarding the BD TLDP, please contact TLDP_Recruiters@bd.com. Apply at https://jobs.bd.com/job/franklin-lakes/technology-leadership-development-program-tldp/159/669149 with Job Posting # LIF100CE. Deadline is December 4, 2015 and a resume and cover letter are required. The Civil Engineering Intern will be working as part of the land development team. Responsibilities include production of civil construction plans and design reports for parking lots, grading, stormwater management, etc. for retail, restaurant, bank and other similar facilities. Candidate should be currently pursuing a Bachelor of Science in Civil Engineering and experienced in using AutoCAD. The office is located in Ontario. If interested, contact Kylee Tuliszewski at ktuliszewski@core-eng.com. The Electrical Engineering Intern will assist in the production of Electrical Engineering Plans and Design Reports for power distribution, fire alarm systems, solar projects, fuel cell projects and lighting for retail, restaurant, bank and other similar type facilities. Candidate should be currently pursuing a Bachelor of Science in Electrical Engineering and experienced in using AutoCAD. The office is located in Ontario. If interested, contact Kylee Tuliszewski at ktuliszewski@core-eng.com. aThe Mechanical Engineering Intern will assist in the production of Mechanical Construction Plans and Design Reports for retail, restaurant, bank and other similar type facilities. Candidate should be currently pursuing a Bachelor of Science in Mechanical Engineering and experienced in using AutoCAD. The office is located in Ontario. If interested, contact Kylee Tuliszewski at ktuliszewski@core-eng.com. Are you interested in the field of Petroleum & Geosystems Engineering? Here’s your opportunity to get involved in a rewarding summer research internship available at The University of Texas at Austin. The Summer Undergraduate Research Internship (SURI) brings together innovative undergraduate minds from across the country to UT Austin to research hot energy topics with faculty members. Students from any engineering, science or geology major may apply. Travel to Austin, a competitive stipend and on-campus housing is provided. Apply online by Monday, January 10, 2016. Visit www.pge.utexas.edu for more details. MindSumo partners with employers to create projects that you can complete to get work experience, win prizes, and be hired for jobs and internships. Please refer to the attachment for the website links to the challenges, or visit https://www.mindsumo.com/challenges. Questions can be directed to aaron@mindsumo.com. Dial Engineering is a consulting firm dedicated to the analysis and prevention of accidents. This individual will be responsible for review and analysis of documents and materials supplied by clients; participating in and conducting vehicle, component, and site inspections; planning and executing full-scale testing; component analysis; CAD modeling; computer simulation; preparing written reports; technical research; and project management. Qualifications include recent B.S. or M.S. in Mechanical or Aerospace Engineering or a closely-related discipline. Applicant must submit a resume, writing sample, and college transcripts. If interested, contact Eric Deyerl at edeyerl@dialeng.com. On Thursday, November 19, 7:30 PM to 9 PM, Ceasars Entertainment will be holding a presentation at Conference Room B (3rd Floor) of the UCLA Career Center. On-campus interviews for the Analyst 1 position will be held November 20—apply now on BruinView! Individuals with strong general management skills, advanced analytical abilities, and a desire to understand a broad range of operations and departmental functions within the casino industry should apply. Blizzard Entertainment’s University Relations would like to invite you to view their available programs and internships. Their New Grad Program is aimed for graduating seniors interested in programming and information technology. Internship opportunities will be posted this fall until January 31, 2016. The 2015/2016 WoW Student Art Contest is also open for Environment and Character Artists to show them your unique take on Azeroth. The preferred candidate has an Bachelor’s Degree in Engineering (Electrical, Electro Mechanical, or related). Responsibilities include working on after-sales support services and provide technical back up. Please send your resume with cover letter to nicolas.dedeken@energair.com. The Department of Homeland Security offers two 10-week internship programs. Information about the Summer Research Team Program for Minority Serving Institutions (Due Dec 20) can be found here: https://www.zintellect.com/Posting/Details/1503 and http://www.orau.gov/dhseducation/faculty/index.html. Information about the DHS HS-STEM 2016 Summer Internship Program can be found here: https://www.zintellect.com/Posting/Details/1468 and http://www.orau.gov/dhseducation/internships/. Take a look at the attachment for website links to Paid Summer 2016 Undergraduate Research Placements, financial support in Graduate School, tips on applying and associated resources, and opportunities in the Ocean Sciences and Engineering. As a member of the iOS Community at Topcoder you’ll have an opportunity to earn cash by solving interesting problems for real-world organizations – and work whenever and as much as you like. Contact Greg Bell at ios@topcoder.com. The Doris Duke Conservation Scholars Program is looking for 20 freshmen and sophomores for an 8 week immersion course this summer. Their program starts in Seattle and travels to various ExUrban (wildlands and rural) landscapes in Washington addressing urban conservation issues. The Year 1 experience, Classroom in the Field, starts on June 19, 2016. Doris Duke Conservation Scholars will have all travel, food and lodging paid during their 8-week summer experience and will receive a stipend of $4,000. The following year scholars will join a Conservation Practice Team, where they will be paired up with conservation professionals and academics for an 8-week team internship. Like the year prior, they will receive the stipend and travel/housing support. You can learn more about the program at www.uwconservationscholars.org. The recruiting event in Ohio is currently scheduled on November 13th-14th. Mechanical engineering / Electrical engineering / Electronics / Information engineering majors are all welcomed. Register at http://lighthouse-gl.com/entryform/honda2015/. Residential Life is hiring for their student technician position (Program Support Technicians) for Winter 2016. This position supports classes, dances, concerts and other events in the residential community. Check https://reslife.ucla.edu/employment/pst for more details. Attend Morgan Stanley’s 5:15PM session on October 8 at Gold Hall B117 to learn more about their Quantitative Finance Program and how you can get into the recruitment process for our Summer and Full-time Program opportunities! Masters and PhD students are also invited to take their Quantitative Finance Exam. Sungevity is actively accepting applications for a range of Full-Time and Part-Time opportunities and would like to invite students from Department of Electrical Engineering to apply. Sungevity is in a smassive time of growth, and therefore searching for the next gneeration of talent to drive the solar industry to new heights. Visit http://www.sungevity.com/solar-careers for more details. Summer internship is from June 13, 2016 to September 09, 2016, 40 hrs/week. Assist project managers and technical staff with project work, business development activities, and organizational tasks. May be called upon to perform routine engineering calculations, review documentation, research technical issues, prepare/edit presentations and reports, organize files, review/write software, etc. Preferably Civil or Mech Engineering major. Apply at www.BakerRisk.com/careers with job number: 2015-1090. On Thursday, Oct 15, 2015 @ 5:30pm, KCG is holding an infosession at Career Center, Third Floor, Conf. Rm. A. Join their senior quantitative strategists to learn about the taxonomy of the industry and the diverse methodologies, work environments and sought after skill sets in different parts of trading. Ask their strategists and recruiter which area of electronic trading fits you best and what specific opportunities are available at KCG, one of the world leaders in the market making space. Dinner will be served. Candidate should have BS or higher degree in Electrical Engineering or Computer Engineering or Computer Science and have knowledge of Matlab, Simulink, C/C++, Python, Java, Linux. Responsibilities include defining the requirements for embedded control software for desired functionality, interface, and target hardware. Contact cetin_charlie@servotechinc.com for more info. Servotech Inc is a small high-tech engineering company providing products and services to the construction equipment, automotive, aerospace and factory automation industries. Responsibilities include testing embedded software for machine control applications such as engine control, transmission control, electro-hydraulic system control. Contact cetin_charlie@servotechinc.com for more info. Responsibilities involve control system hardware circuit design and embedded control software development. Candidate should have BS (or higher degree) in Electrical Engineering or Mechanical Engineering or related field. Contact cetin_charlie@servotechinc.com for more info. Penn State’s Department of Mechanical and Nuclear Engineering will be accepting applications for an outstanding undergraduate summer research program in the nuclear field at Penn State—the Toshiba-Westinghouse Undergraduate Fellows Program: www.mne.psu.edu/twfp. Here is the flyer. Trigger is looking for developers to help create cutting edge toys, mobile games, and other applications based on Augmented Reality. Check out http://www.triggerglobal.com for a small preview. Please apply on LinkedIn or send cover letter and resume to hr-tech@triggerglobal.com. Candidates should have Bacehlor’s degree in Computer Science and experience working with Unity or other game frameworks. Starting your career at Kaiser Permanente means learning from the best and brightest in the industry. They’re looking for tomorrow’s leaders. People who are bold, creative, curious, and eager to make a contribution. This is a place where your ideas translate into real impact. And where what you do every day saves lives. No matter what your role, you’ll apply your knowledge and passion to influential real-world projects that help shape your success. The deadline for discount registration is quickly approaching. Don’t miss out on the chance to attend the Annual Biomedical Research Conference for Minority Students (ABRCMS), one of the largest conferences for minority students in the nation! The event will be held at the Washington State Convention Center from Nov. 11-14, 2015. The National Security Agency (NSA) invites you to try out for the 2015 NSA CyberSprint, a challenge that pits your skills against other students and recent grads across the country. Phase 1 Qualifying Round: Complete a series of challenges to prove that you have what it takes to compete with the best. You have five days to complete the assessment, starting Oct. 28. Phase 2 Final Skills Challenge: If you make it through the first phase, you’ll be invited to the big game, a simulation that asks you to hack a major system to retrieve data. You have two weeks, starting Nov. 9. Make up to $50/hr for helping your classmates! Check out www.trytoucan.com. Apply at team@toucantutoring.com. The Critical Skills Master’s Program (CSMP) provides exceptional bachelor’s-level candidates with the opportunity to receive fully funded master’s of science degrees. Successful applicants will become regular full-time Sandia employees and will join multidisciplinary R&D teams that are advancing the frontiers of science and technology to solve the world’s greatest challenges. Visit http://www.sandia.gov/careers/special_programs/critical_skills_program.html for more details. This program is designed to meet the needs of the Naval Reactors Division of the U.S. Department of Energy for appropriately trained personnel for the development and maintenance of science and engineering technology as it pertains to naval nuclear propulsion. The Rickover Fellowship supports the broader objective of advancing fission energy development through the research efforts of the fellows. Apply electronically at scuref.org. If interested, read the booklet. The Advanced Network Technologies Division at NIST has several staff, summer intern, postdoc, visiting researcher positions in the areas of Internet Inter-Domain Routing Robustness, Secure Domain Name System Technologies, Network Anomaly Detection and Internet Traffic Analysis, Network Function Virtualization / Software Defined Networking, Measurement Science of Complex Networked Information Systems, Advanced DDoS Mitigation Techniques, Networked Cyber-Physical Systems and Internet of Things, and Next Generation Internet Architectures. Deadline is November 3, 2015. Visit http://www.nist.gov/itl/antd/opportunity.cfm for more info. Detailed information about the internships can be found at http://www.orau.gov/dhseducation/internships. Undergraduate students receive a $6,000 stipend plus travel expenses. 10-week research experiences are offered in several research areas, including Engineering, computer science, mathematics, physics, chemistry, biological / life sciences, environmental science, emergency and incident management, social sciences, and more. Applications and supporting materials must be submitted at https://www.zintellect.com/Posting/Details/1468. The Computer Science Intern Program (CSIP) enables you to gain first-hand experience in critical work at NSA, while making a valuable contribution to national security. The Computer Science Intern Program (CSIP) is an intense and exciting 12-week immersive internship open to select college undergraduate and graduate students majoring in Computer Science or closely related disciplines. Interns are assigned to projects that contribute to NSA’s mission. Applications are accepted September 1st – October 31st. Student will assist the Civil Engineering Materials group with developing content for department website and research group website(s). Student is expected to creatively publish information using WordPress platform in an organized and sustainable format. Please send resume via email to the CEE SAO, Jesse Murphy, at CEESAO@seas.ucla.edu with subject line: ‘CV-MAT Website Application’. In your email please list URLs of any websites for which you have personally contributed. If you have not developed or contributed to a website please indicate ‘no content’. Also write 1 concise paragraph outlining your qualifications for this position. This position is for a full time mechanical engineer. Candidate should have Bachelor’s degree in Mechanical Engineering and be proficient in CAD. As an entry level engineer, you will be given extensive hands-on training in the design of mechanical system for buildings. Contact erica.chae@buildingnetworksgroup.com for more information. On Wednesday September 30th 6pm-7pm, Ruben Garcia, a representative from Creative Artists Agency (CAA), will visit UCLA TFT to discuss opportunities available at CAA. This is an informational meeting only. Resumes and cover letters will not be accepted at this event but all students are encouraged to apply for internships afterwards. Event will be held at Public Affairs Room 1246. RSVP’s Required: https://www.eventbrite.hk/e/caa-information-session-tickets-18742498317. Solutions-IES is in need of environmental consultants at ALL levels of experience. They participate in environmental risk assessments and remediation, for both government and manufacturing. Learn more at www.solutions-ies.com. Space Environment Modeling Group (http://rbm.epss.ucla.edu/) in the UCLA Department of Earth, Planetary, and Space Sciences is looking for an undergraduate student with CS skills. Your task may include: writing and testing computer codes, plotting and visualizing data, maintaining and writing documentation for data and models. Please send an e-mail to semg@epss.ucla.edu with your resume, explaining your knowledge and experience. Kyle Wise is looking for a self motivated individual with a heart for helping people, justice driven, and has experience with writing code for apps. They are looking to launch them (3 apps) in IOS, Google and android marketplace. We will be working with LA county as well on another project that will help give the county tools to end Sexual Assault, Domestic Violence and Child Abuse. Pay will be a certain % of downloads. Send requested files to Kyle.c.wise@gmail.com. The Application Testing Developer (ATD) plans, documents and writes programs and scripts to test web-based applications. Works closely with Library staff to develop automated scripts that execute all features and paths of a web application or web site. Ensures the scripts function according to the specifications. Applicant should have experience writing computer programs, including knowledge of flow control concepts such as loops and conditional execution, and be able to write clear documentation in a wiki or other common documentation repositories. Must be willing to work a minimum of 10-12 hours per week. Contact ElaineBlakeman@library.ucla.edu.com if you have any questions. Every year, a team of UCLA students participates in the William Lowell Putnam Mathematics Competition. The competition consists of a three- hour morning session and a three-hour afternoon session. The problems in the competition are elementary, yet difficult, and require more originality and ingenuity than ordinary math exam problems. Consequently, an extensive knowledge of upper division mathematics is not required. We encourage you to consider participating in this year’s competition which will be held on Saturday, December 5, 2015. The deadline to sign up is Friday, October 2nd. To sign up follow this link: https://docs.google.com/forms/d/1Kky4YagzKldVXZ8Lzjt75gpUlec23OQC14ThMN qsAHE/viewform?c=0&w=1. The NOAA Commissioned Officer Corps is the uniformed component of the National Oceanic and Atmospheric Administration. A typical officer’s career is spent in a broad variety of assignments that rotate between sea duty and shore stations. Assignments are not necessarily related to an officer’s academic field, but each will contribute to the officer’s development as a technically competent leader. NOAA Corps officers operate ships, fly aircraft, lead mobile field parties, conduct diving operations, manage research projects, and serve in staff positions throughout NOAA. Applicants must be a U.S. Citizen and hold a baccalaureate degree, preferably in a major course of study related to NOAA’s scientific or technical activities. Semantic Computing (SC) is Computing based on Semantics (‘meaning’, ‘context”, ‘intention’). It addresses all types of resources including data, document, tool, device, process and people. The scope of SC includes analytics, semantics description languages and integration, interfaces, and applications including biomed, IoT, cloud computing, SDN, wearable computing, context awareness, mobile computing, search engines, question answering, big data, multimedia, and services. Authors are invited to submit an 8-page (regular), 4-page (short), or 6-page (industry) technical paper manuscript in double-column IEEE format following the guidelines available on the ICSC2016 web page. Activcirk is Malibu area start-up that aims at designing and selling analog integrated circuits with reduced company overhead. They are looking at hiring a few students as a paid part- time design assistants. The work would be down remotely via VPN. Please send your resume to aidan.plenert.macdonald@gmail.com. Our projects focus on addressing local and international community concerns while utilizing NASA’s Earth observations. Participants work in teams to complete rapid research projects in 10 weeks with guidance from NASA and partner science advisors. These projects demonstrate to partner organizations how NASA remote sensing imagery can be used in water resource management, disaster response, ecological forecasting, and other applications. This is a great opportunity for individuals who are interested in practical applications of Earth Science using remote sensing and GIS. Details about the internship and how to apply can be found at http://develop.larc.nasa.gov/. The Spring term application window is open now until October 2nd. 180 Degrees Consulting is looking for qualified applicants with an interest in management consulting and social service, who have a knack for coming up with practical and innovative solutions. They are seeking new consultants for the upcoming quarter and are currently accepting applications. Apply at http://180dc.org/platform/ apply. Deadline is Sept. 25 at midnight. Ideal for those looking to enter the business world, best suited for those interested in strategy, marketing, or consulting. Deals with budgeting, allocation, and event organization. Final deliverable/result to brag about on resume will be a massive amount of seeding money, on boarding of users, brand awareness, and the success of a second stage start up. Also comes with a gleaming letter of recommendation and networking with the founder. For Computer Scientist (PhD) to develop the next generation entertainment and media technologies. As a software engineer, you will work on specific project critical to customer’s needs. Sun Engineering Consultants International (SECI) is a US funded professional consulting firm with numerous offices throughout U.S. and China. It specializes in structural engineering and provides consulting service for bridges and special structures, advanced construction technology and project management, civil IT engineering, safety assessment and reinforcement, international projects and seismic & blast technologies. Entry-level engineering candidate must have an undergraduate degree and above in Civil Engineering and EIT; bridges and underground structure focus preferred. Project work will focus on Highway, high speed railway, city rail transit and urban transportation. Send your CV, cover letter and supporting documents to May Wang at sunhr@sunengineering.cn mentioning the position you are applying for in the subject line. The Lewis Center/Institute of Transportation Studies is looking for about 25 graduate or undergraduate students to help conduct a variety of field observations, including: 1) manual counts of cyclists and pedestrians 2) parks usage observations and 3) intercept surveys of cyclists. This data collection will inform three distinct research projects: one on bicycle crash risk, one on parks needs in the low-income community of Cudahy, CA, and the third on the greenhouse gas emissions effects of bicycle lanes and paths. Data collection will take place August – October 2015. Students can expect to work 10-20 hours, most of which will be in the field. This will also include a training session on methodology and protocol for the counts or observations. Rate of pay will be based on the Student Assistant III at roughly $12/hr. Please contact Diana Benitez (dianalidu@g.ucla.edu) should you have any questions. Exxon Mobil Corporation commencing hiring for the 2015 graduate and undergraduate intake from now till the end of this year. Are you ready to help meet the energy needs of a growing world? City of Calabasas, California is recruiting for an assistant civil engineer. This position is responsible for implementation of key environmental programs and compliance with the municipal storm water permit and water quality regulations. Graduation from a four‐year college or university with major in civil or environmental engineering. An EIT certificate is preferred. Working knowledge of AutoCAD and GIS and excellent oral and written communication skills are required. Please send letter of interest, resume and a copy of college transcript to “City of Calabasas Environmental Services, 100 Civic Center Way, Calabasas, CA 91302”. As a Sensor Development Intern, your mission will be to help enable execution of testing and improvement initiatives of the Technology R&D group. You will be a key member of the Technology R&D team and your work will directly support the group’s mission. Applicants should have completed or are in final year of a Bachelor’s degree in engineering, computer science, or other STEM field. Send your résumé as well as any information you think is relevant to dthomas@h2scan.com to apply. Iron Mountain Entertainment Services is currently looking to fill short to medium-term paid positions with qualified candidates with a background in computer science or programming. The general requirements of the position include technical ability such as working knowledge of bash and shell scripting in unix environments (i.e. navigation, log parsing, and text manipulation) as well as the ability to solve problems, identify patterns, think logically, and generally be a self-starter. Experience with databases, software programming, and hardware are a plus. We will provide the necessary training to complete the work, but only candidates with a strong foundational background will be considered to move forward. Iron Mountain Entertainment Services is based in Hollywood, California. Those interested in submitting a resume for consideration may do so by sending a resume to Michelle.Zamora@ironmountain.com. Only candidates that we are interested in moving forward with will be contacted. BS/MS degree in computer science/EE or equivalent. Join Oben as a Technical Program Manager and help build innovative applications and custom solutions. The successful candidate will play a critical role in planning new systems architecture and technical direction for the company’s technology roadmap. You will be working with senior scientists, developers, business partners, and external vendors to ensure high quality deliverables. Collaborate with senior machine learning researchers, engineers and speech processing researchers to lead the build of build consumer applications and prototypes which incorporate key technologies developed in-house. Needs experience with relevant tools and platforms, such as Java, DHTML, CSS, AJAX, HTML5, PHP/Mysql. Create.com is a crowdbuilding website that provides a platform for great ideas to connect with the people necessary for its success. They are seeking 3 potential Co-Founders to join the technical team and drive innovation on the website and product development front. This is a great opportunity for anyone looking to improve their skills and gain tremendous amount of experience in all aspects of business and technology. Individuals would join the team in LA starting the summer of 2015. Please email nneelaka@usc.edu for more information. The vibrant, progressive Radiation Belt Modeling group (http://rbm.epss.ucla.edu/) in the UCLA Department of Earth, Planetary, and Space Sciences is looking for enthusiastic undergraduate students to join their team. It will be a good chance for you to be involved in cutting-edge research. Your tasks may include: writing and testing scientific codes, plotting and visualizing data, maintaining and writing documentation for scientific data and models, website development and maintenance, public outreach activities, some server maintenance, and contributing to a team environment. A minimum commitment of 10 hours per a week is required. Please e-mail your CV to semg@epss.ucla.edu explaining your knowledge, experience, and any other relevant information. The AAa/e Foundation is committed to empowering engineers/architects/construction students and professionals in personal and professional growth, excellence, and leadership by providing career development, networking, and scholarship opportunities and a vehicle for community outreach to the built environment.To apply for the AAa/e Foundation Scholarship, please visit www.aaaesc.com/aaae_foundation. Applicants should be full-time high school, community college, undergraduate, post-graduate students and recent graduates interested in pursuing a career in the Architecture, Engineering, Construction. Applicant must have demonstrated a measureable level of involvement/service to the Asian-Pacific Islander community, and must apply to become a student member of AAa/e. Iron Mountain Entertainment Services is currently looking to fill short to medium-term paid positions with qualified candidates with a background in computer science or programming. The general requirements of the position include technical ability such as working knowledge of bash and shell scripting in unix environments (i.e. navigation, log parsing, and text manipulation) as well as the ability to solve problems, identify patterns, think logically, and generally be a self-starter. Those interested in submitting a resume for consideration may do so by sending a resume to Michelle.Zamora@ironmountain.com. OneK in Burbank builds jaw-dropping interactive web and mobile products. OneK has multiple projects of all shapes and sizes. They currently offer 3 internship positions for this Summer: front-end, back-end, tools and automations. Candidates should be grad or junior/senior undergrad majoring in CS or related majors. Application details are in attachment. The 7th Annual Nestlé Diversity Leadership Symposium (DLS) is a four-day intensive business program where students will gain invaluable exposure to life and careers with the world’s largest food and beverage company and interview for an summer 2016 internship or a full-time development trainee program, returning to school with the chance of an offer in hand. Applicants should be current undergraduate sophomores and juniors graduating between December 2015 and June 2017. Please visit https://nestle.fluidreview.com/ for more information. EcoHealth Alliance is seeking software developers for their data science and research technology program. As part of a small team of developers, data scientists, and infectious disease scientists, you’ll develop tools to predict the next pandemic and support research teams in the field.To apply, you must send your resume and a personalized cover letter as one document to dev-jobs@ecohealthalliance.org with the subject of “Software Developer 2015”. EcoHealth Alliance is seeking a Research Scientist to join their data science and technology program. They are interested in hearing from candidates with research experience and that are interested in emerging infectious disease, biosurveillance, and conservation ecology. To apply, you must send your CV, a copy of unofficial college transcripts, and a personalized cover letter as one document to “ ehatechteam@ecohealthalliance.org” with the subject of “Scientist 2015”. EcoHealth Alliance is seeking a DevOps engineer with database experience for our data science and research technology program. As their first and only DevOps engineer, you will drive the direction of theirinfrastructure. To apply, you must send your resume and a personalized cover letter as one document to dev-jobs@ecohealthalliance.org with the subject of “DevOps Engineer 2015”. Risk Management Professionals is a progressive Process Safety, Risk Management and Hazard Mitigation Engineering Consulting Firm headquartered in Irvine, California. As a result of their growth, they are currently seeking Entry Level Engineers. Qualification includes BS/MS in related engineering field (process engineering, chemical engineering, mechanical engineering). 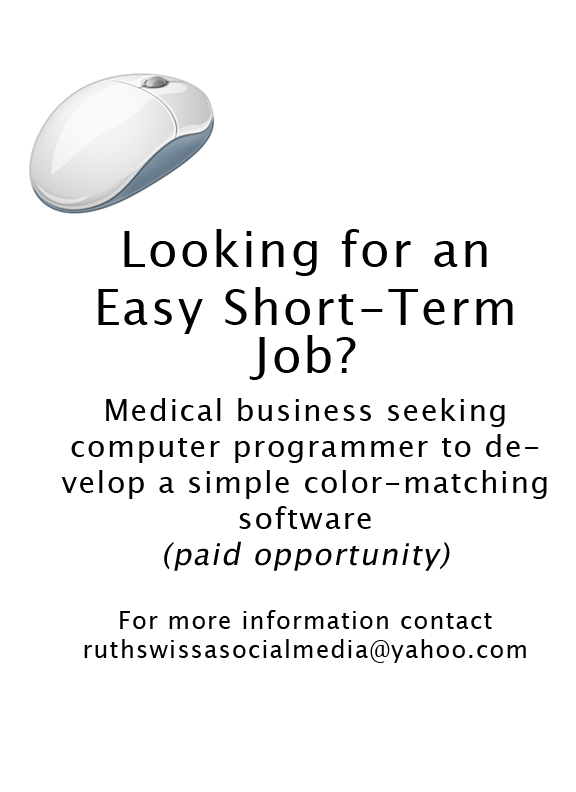 To apply, submit your cover letter and resume to Solveig.Saether@RMPCorp.com. Applications MUST have the following phrase in the e-mail body or subject line: ‘Ethics, integrity and teamwork are a foundation for success!’, or they will not be considered. DeepSky Corp is looking for a self-motivated, hands-on Process R&D Engineer with MS/PHD in Science or Engineering subjects to become a member of the R&D team responsible for the development, design, and fabrication of the display core technology. This position will support new product and process development and it mandates a resourceful and pragmatical approach to a variety of problems in semiconductor, electronics and surface physics, down to purely technological problems encountered in production. The company is growing at a fast pace and the executive team is now looking for a Regional Sales Manager with Bachelor or Masters to structure and develop the commercial activities in the Asia area (Hong Kong, Macau, Taiwan, Singapore, South Korea). Applicants should understand the digital display industry and be interested in new technology. The NASA Office of Education MUREP solicits proposals from US Organizations and Institutions (including NASA Centers) that align with the four White House Executive Orders for Minority Institutions to strengthen curriculum and curricular pathways in Science, Technology, Engineering, and Mathematics (STEM), and attract, retain, and support the success of underrepresented students in STEM degree programs. Refer questions to Misti Moore at Misti.M.Moore@nasa.gov. Visit http://nspires.nasaprs.com/ for more info. The Water Resources and Conservation Intern will assist staff in performing routine planning, research, analysis, grant and data management and customer agency support activities related to water demand/use, water supply availability, water conservation and other water resource management issues; and will perform related duties as assigned. Eligible applicants must be sophomores or above attending an accredited college in good standing. This part-time/temporary, at-will position pays $12.00 – $15.00 per hour. Apply by: April 20, 2015. Visit http://agency.governmentjobs.com/westbasin/default.cfm for more information. LinQuest is looking for an BSEE graduate with good communication skills. Applicants will provide systems engineering support in their Los Angeles office to develop and maintain the enterprise and program technical requirements baseline, including program system specifications and interface requirements. Applicants should apply directly to their website. PACE is a specialized civil engineering firm focusing on advanced water resource services with unique research and development capabilities through their onsite water quality and piloting laboratories. The environmental chemist/biologist intern will assist R&D scientists and engineers in a variety of tasks. This internship position is a temporary position available immediately and for up to five months (April 2015 – August 2015). This position is suitable for full-time or part-time students currently enrolled in her/his degree program in chemistry, biology, geology, environmental science, chemical engineering, and environmental engineering. The Anthropocene Institute nurtures new technologies and cultural institutions required for the long­term viability of humanity and the preservation of biological diversity, that are largely neglected by other institutions. The Anthropocene Institute is seeking two summer intern’s from top engineering business schools who are passionate about addressing ocean conservation issues and committed to developing innovative energy solutions. This is a three­month paid summer internship opportunity based in Menlo Park, CA. To apply please send your resume, one reference, and a writing sample from a paper of which you are the sole author to admin@anthinst.org by May 8, 2015. Honeybee Robotics is a world leader in developing robotic systems for extreme environments. Our Pasadena, CA office has several full-time positions that need to be filled immediately. The candidate should have the following credentials: 1. BS or MSc in Mechanical or Electrical Engineering 2. GPA >3.2 3. Passion for space exploration and challenging tasks 4. Should consider robotics fun! 5. US Citizens or Permanent Residents, only. CNSI is proud to announce our first ever Video Contest! All undergraduate and graduate students, postdoctoral scholars, researchers and interested parties are invited to submit video entries no longer than 2 minutes. Entries should highlight, stimulate interest and raise curiosity about CNSI at UCLA in a fun and exciting manner. Due to the limited time restriction, no single video is expected to cover all the many facets of CNSI. Over $3000 in prizes! Think you’ve got the UI design skills to wow over 100 million users each month? Then BEZELHUB wants to hear from you. They’re looking for a senior designer that can create world class user interfaces that visually amaze but are simple to use. Send examples of some of your design accomplishments and why you want to join the BezelHub Team.Contact Jeremiah Brown at jeremiah_brwn@yahoo.com if interested. Digital Media Academy is known for its premier summer programs hosted at prestigious campuses. DMA provides hands-on, project-based learning experiences in a broad range of digital arts, media and technology topics. Their mission is to provide experiences that help young people gain both the confidence and skills that will help them in school and life. If you are passionate about young people, and ready to take the first step toward a transformative summer experience, visit http://jobs.digitalmediaacademy.org/ to learn more about opportunities to make a difference this summer. ACEA Biosciences, Inc. is looking for a System Integration Engineer with strong experience in development and engineering support for bioanalytical instrumentation. The candidate will work with a multi-disciplinary engineering and assay development team for analytical instrument research and development including system integration, system verification and validation, and manufacturing procedure development. The candidate will also be responsible for engineering and technical training and support during and after the product launch. Please send resume and cover letter referencing code (2015-0114) to: jobs@aceabio.com. LT Shaun Penrod, a Naval Office recruiter in LA, will be sharing the Navy’s nuclear propulsion officer (NUPOC) program. NUPOCs are paid about $5000/month while they finish their degree and are provided with years of job stability post graduation. The info-session will take place on Thursday March 5th in Boelter5800 at 6pm. Pizza will be provided! The program is open to all engineering majors! Please check https://www.facebook.com/events/818474891539625 for further information and updates! The Academic Advancement Program is currently accepting applications for spring peer learning positions in PIC 10A. Overall GPA 3.0 or higher is preferred. Application is available in 1214 Campbell Hall. Responsibilities include participating in the development and testing of various networking applications and features on Silvus’ StreamCaster MIMO IP radios. Qualified candidates should send their resumes to jobs@silvustechnologies.com with subject line ‘Embedded Software Intern’. African American students who are currently pursuing graduate studies in science, technology, engineering, or mathematics (STEM) fields at U.S. colleges or universities may apply. Successful applicants must be U.S. citizens; have at least a cumulative 3.2 GPA and complete a pre-employment drug test. Please visit https://imms.lanl.gov/aapp/about.jsp for full program and application details. Surfx is looking for a part-time mechanical engineer that will help them develop hardware for their plasma systems. The successful candidate will be able to design 3D CAD models, draw up manufacturing drawings, test, debug, and refine mechanical systems. Email your application to jobs@surfxtechnologies.com. The educational website Chemistry Community at https://lavelle.chem.ucla.edu/forum/ needs a phpBB module that allows users to thank each other for posts and then displays the rating based on thanks in the page index. Specifically this Thanks for Posts module https://www.phpbb.com/customise/db/mod/thanks_for_posts/ needs to be fixed. Currently it gives duplicated output and incorrect stats. The project is to install phpBB and the Thanks for Posts module on your machine. Then clean up and debug the Thanks for Posts module codebase. Contact lavelle@chem.ucla.edu for more information. UtopiaCompression Corporation (UC) is seeking a full-time software engineer for its networking and communications research group. The candidate will work with a group of R&D Scientists and Engineers to design, develop, and test cutting-edge networking solutions and products. Candidate should hold a BS/MS in CS/EE from an accredited academic institution. To apply, send your resume to: jobs@utopiacompression.com with the job title as the subject. Stir is a local technology company focused on creating products that help people do their best work! Their first product, the Stir Kinetic desk launched in 2013 and they just launched our second product this January. Applicants should currently be pursuing a Bachelor’s or Master’s in Mechanical Engineering or related technical field. Please send resume to Martin Kozaczek at mkozaczek@stirworks.com. Stir is a local technology company focused on creating products that help people do their best work! Their first product, the Stir Kinetic desk launched in 2013 and they just launched our second product this January. Applicants should currently be pursuing a Bachelor’s, Master’s or Ph.D. in Engineering, Computer Science, Math or related technical field. Please send resume to Martin Kozaczek at mkozaczek@stirworks.com. The ideal candidate should have strong SolidWorks modeling capabilities and a good sense of electrical systems. In addition, the candidate should have experience working in the Windows environment, as well as the common Microsoft Office suite of tools. 3D printer experience would be great but not required. Email your application to jobs@surfxtechnologies.com. There are internship opportunities with the NASA DEVELOP Program for current students, recent college graduates, and career transitioning professionals including veterans of the Armed Forces. This is a great opportunity for individuals who are interested in practical applications of remote sensing and GIS. The projects focus on addressing local and international community concerns while utilizing NASA’s Earth observations. Details about the internship and how to apply can be found at http://develop.larc.nasa.gov/. The summer term application window is open now until Feb. 27. DEVELOP’s projects are interdisciplinary in nature, so applications are welcome from all academic backgrounds, including earth sciences, environmental sciences, biology, geology, geography, math, chemistry, statistics, computer science, engineering, international relations, communication studies, and all other related disciplines. Please feel free to contact Christine.Rains@jpl.nasa.gov with any questions, or send them directly to NASA-DL-DEVELOP@mail.nasa.gov. UCLA’s Renewable Energy Club is partnering with Bgreen Consulting to host the 6th annual “Southern California Green Jobs Fair” to connect engineering students and students of other disciplines to connect and network with companies leading sustainable initiatives. Students of all majors and years are welcome to attend! Bruin cards will be checked upon entry. The event will be held on February 17, 6-8:30pm at the Kerckhoff Grand Salon. This event is hugely beneficial for Civil and Environmental Engineers! ITG is a global independent execution and research broker headquartered in NYC with a large development office in Culver City, CA. They are seeking high caliber software developers for 5 roles within their LA Office utilizing a variety of languages from Java, C++, C#, and Python. Apply online by Friday 02/13 or email your resume to Dana.Blessing@itg.com for immediate consideration. Qualifications include MS/PhD in CS, Math, or Stats, strong Python coding skills, and demonstrated expertise in ML techniques. Responsibilities include working on large amounts of structured and unstructured data that are collected/crawled and building the system that will apply cutting edge ML techniques at scale with the objective of identifying the next Uber or Stripe. 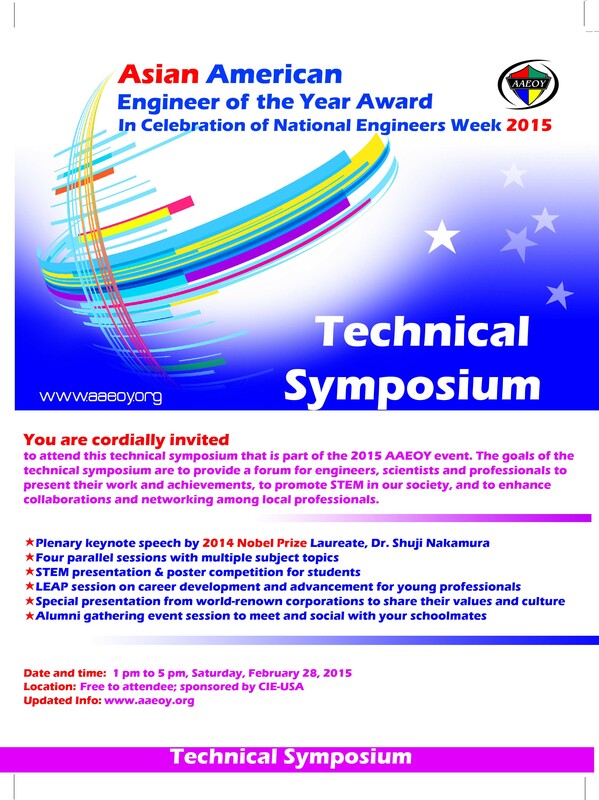 Both undergraduate and graduate students are welcome to participate in the STEM competition and the free Technical Symposium at the LAX Marriott on February 28, 2015, from 1pm to 5pm. 2014 Nobel Laureate, Dr. Shuji Nakamura, will be present. This event also has a free student competition which may lead to internship opportunities. Qualifications include a Bachelor’s degree or several years of related experience in industry. Once hired, development engineer is responsible for all aspects of developing new products, such as managing Bill of Materials, creating drawings, and testing new systems. Contact james.shea@jfshea.com for more information. The Boston University Photonics Center (BUPC) offers a 10-week paid summer NSF Research Experience for Undergraduates program. The site in integrated nanomanufacturing involves students in research areas including nanophotonics, nanostructures, and nanomedicine with exploration in materials, fabrication and integration of nanoscale systems. To learn more, visit: http://www.bu.edu/photonics-reu/. Applicants should be enrolled in a Computer Science or Engineering field.Pursuing a BS or MS in Computer Science preferred, but other Engineering fields accepted. Contact Jaime Valenzuela at jaime@batzu.com. Surfx Technologies, LLC is a privately held company that develops, manufactures, and sells surface treatment equipment for the medical device, aerospace, and semiconductor industries. The Sales Engineer will be responsible for achieving company revenue goals. Applicants must have Bachelors’ degree in Chemistry, Physics or Engineering. Deloitte Consulting is gearing up for another great recruiting season. For January/February, we are focused on recruiting Freshmen, Sophomores, and Juniors for our summer programs. Our practitioners are excited to meet each and every one of you. Kindly make note of these upcoming deadlines and events, and ensure that your application is submitted to both BruinView and careers.deloitte.com by each deadline. We offer the best short term sustainability study abroad programing in the best location on the planet, Costa Rica, a country on course to carbon neutrality by 2021.All students would complete 52 hours of study, receive 2 transferable credits and participate in a Capstone Project. The Easton Technology Leadership Program and High Tech Business Association present CES @ Anderson at the UCLA Anderson School of Management. The program includes Talks and Panels as well as Technology Tables, to present emerging technology trends. The themes of this event are Internet of Things, Wearables, Virtual Reality, Robotics and Connected Cars. The event is held January 8th from 11:30am to 6:30pm. Applicants must have official acceptance into an accredited university’s graduate program, full-time enrollment during the spring term immediately preceding the internship period (9 credit hours), a minimum cumulative GPA of 3.5/4.0, and the ability to work up to 40 hours per week during the summer. The goal of this program is to create a pipeline of highly qualified interns interested in full time employment at Sandia once they graduate. Apply at: http://tinyurl.com/l66dwsg for job number 647166. Applicants must have official acceptance into an accredited university’s graduate program, full-time enrollment during the spring term immediately preceding the internship period (9 credit hours), a minimum cumulative GPA of 3.5/4.0, and the ability to work up to 40 hours per week during the summer. Also, must be currently majoring in Computer Science, Information Assurance, Computer or Electrical Engineering or a very closely-related field. Apply at: http://tinyurl.com/nnkaf6p for job number 647196. P&G will host a number of unique student programs at our global headquarters in Cincinnati, OH. These workshops are designed to give top students a variety of opportunities such as learning about various careers and functions at P&G and providing an early opportunity to interview for intern positions. Additionally, all expenses are paid. The Annual World Congress of SBMT is a multi-disciplinary forum designed to facilitate cross-disciplinary dissemination of technological and medical advances and scientific discovery. Thus the attendees are a mixture of neurosurgeons, radiologists, neurologists, psychiatrists, rehabilitation medicine, cardiologists, pulmonologists, bioethicists, policy makers, government officials, engineers, physicists, graphic designers, allied healthcare professionals, healthcare executives, students, post-docs., residents and fellows. SBMT annual meetings are world class scientific events designed to have a significant impact on cross-disciplinary flow of information and scientific advancements. We are looking for enthusiastic UCLA volunteers to assist us with organization, management of presentation rooms, being a liaison between speakers, and fulfilling other duties for the 12th Annual Congressional from March 6th-8th. Matthew Rakher, a research staff member at HRL Laboratories in Malibu, is looking to fill a few positions that might be of interest to physics, electrical engineering, or materials students who are graduating soon or have recently graduated at the Bachelors, Masters, or PhD level. Previous experience with low noise electrical measurements and cryogenics is desirable. Please email Matthew Rakher at mtrakher@hrl.com for more information. The Wireless Health Institute at UCLA Engineering is currently recruiting participants for our 2015 Summer Undergraduate Scholars Program. Advances in engineering and computer science are enabling the design of powerful home and mobile technologies that can augment functional independence and daily activities of people with physical impairments, disabilities, chronic diseases, and the accumulative impairments associated with aging. The Wireless Health Institute at UCLA is a collaboration between UCLA Schools of Medicine, Nursing, Engineering and Applied Sciences, Business, the Clinical Translational Science Institute for medical research, and the Ronald Regan UCLA Medical Center aimed at developing new technology essential to the next generation of health care. We encourage undergraduates to get involved with our Institute by participating in our Summer Undergraduate Scholars Program. This 8 – 10 week PAID summer internship program provides undergraduates the opportunity to gain hands-on research experience at WHI labs; to work with WHI faculty, staff and graduate students; and to participate in research, professional development, and social activities with other WHI undergraduate scholars. For more information on the program and application information please visit our website: http://www.wirelesshealth.ucla.edu/2015-whi-summer-undergraduate-scholars-program/ or contact Wes Uehara, wuehara@seas.ucla.edu, program coordinator. We look forward to receiving your application! The Institute for Broadening Participation’s Pathways to Science website is a useful tool to search educational opportunities funded by the National Science Foundation (NSF) and the National Aeronautics and Space Administration (NASA). Search by education level, discipline, geographic area, and institution. Research Experiences for Undergraduates (REU’s) application deadlines are typically in January and February. Visit their website to begin your search: http://www.pathwaystoscience.org/index.aspx. HSSEAS and ESC invite UCLA Engineering societies and design organizations to submit a project proposal for an engineering design project that introduces real-world engineering to high school students. If selected, this project will be adopted by the 2015 Tech Camp program and the membership from those organizations will be eligible to interview for a PAID MENTORSHIP to deliver their curriculum. An infosession will be held on January 20, 2015 from 4-5pm in the Student Creativity Center Main Meeting Room. Sharlene Azam is looking for an engineering graduate student to work on building Rube Goldberg style machines each week to two 9 year old girls. It pays $15 per hour with a 2 hour minimum. Classes would likely need to be held at a home in Santa Monica. Please contact Sharlene Azam at azam_sharlene@yahoo.com if you have any questions. Teams should consist of up to 4 current undergraduate students (no seniors or graduate students, please). All majors are welcome. Team Applications for UCLA are due by February 2. To participate, please submit an application online for your group at www.deloitte.com/us/undergradcasecomp. If successful in your school’s competition, your team will go to the National Undergrad Case Competition at Deloitte University on Thursday, Feb 26 through Saturday, Feb 28 with all expenses covered! The Case Competition is a great way for students to show off their skills and get us to notice them. Those who really shine are marked as star candidates for our Spring quarter invite only events and future recruiting cycles. Digital Media Academy is known for its premier summer programs hosted at prestigious campuses. DMA provides hands-on, project-based learning experiences in a broad range of digital arts, media and technology topics. Our mission is to provide experiences that help young people gain both the confidence and skills that will help them in school and life. If you are passionate about young people, and ready to take the first step toward a transformative summer experience, visit http://jobs.digitalmediaacademy.org/ to learn more about opportunities to make a difference this summer. Surfx is a fast growing company located in Redondo Beach, California (25 minute drive from UCLA) that sells equipment to the electronics, aerospace and medical device industries. They are looking for a part-time computer or electrical engineer that will help them develop hardware and software for our plasma systems. The successful candidate will be able to design, implement, test, debug, and refine the software algorithms that he or she creates. He or she should be available to work for one or two years while attending school at UCLA. The intern will be expected to work 10 to 20 hours per week at the Redondo Beach facility. Please email your application to jobs@surfxtechnologies.com. NASA Aeronautics Scholarship Program is accepting applications from students majoring in aeronautics related fields. Undergraduates with at least two years of study remaining are eligible to receive up to $15,000/year for two years and a summer internship with a $10,000 stipend. Graduate student awards include up to $11,000 in tuition offset, $35,000 stipend/year for two years and a summer internship with a $10,000 stipend. Applicants must be U.S. citizens. Applications are due March 31, 2015. How would you effectively scale a large number of production databases? Visit https://www.mindsumo.com/contests/how-would-you-effectively-scale-a-large-number-of-production-databases for more information. Questions can be directed to aaron@mindsumo.com. Remember, these contests are great entry points to internship opportunities! Propose a product to improve remote communication between people. Visit https://www.mindsumo.com/contests/propose-a-product-to-improve-remote-communication-between-people for more information. Questions can be directed to aaron@mindsumo.com. Remember, these contests are great entry points to internship opportunities! Propose a tool to capture information during a brainstorming session. Visit https://www.mindsumo.com/contests/propose-a-tool-to-capture-information-during-a-brainstorming-session for more information. Questions can be directed to aaron@mindsumo.com. Remember, these contests are great entry points to internship opportunities! Undergraduate college students majoring in Applied Mathematics, Engineering, Physics, Chemistry, Biology or Geology are encouraged to apply. This ten-week internship will offer qualified students the opportunity to work with some of the most notable scientists in the world and learn about marine science and technology while earning a modest salary. Visit http://www.mpl.ucsd.edu/ to complete the application online. Application due Feb 27. The 2+ million subscriber YouTube channel, Simple Pickup, is starting a new venture: Jumpcut Studios, and they’re looking for both part-time and full-time software engineers to build out their new company. This is a paid position, and you’ll be working with our strong engineering team to build out the next great media destination for generation Y. Bring your enthusiasm and skills, check out https://angel.co/jumpcut-studios-2, and send over a resume/Linkedin to jobs@simplepickup.com for the full scoop. The website www.pathwaystoscience.org features a wealth of programs, resources and search tools to help students bridge to future STEM opportunities. We recommend you to sign up online: (http://www.pathwaystoscience.org/Form.aspx) to automatically receive information customized to their interests about funding, research and professional development opportunities and upcoming deadlines. You can also sign up by filling out and returning the attached student information form (scan and email, mail, or fax). Internship: Glumac Mechanical or Electrical Engineers. Glumac is a building engineering firm working on designing various projects throughout the world including the Wilshire Grand High Rise Tower in Downtown Los Angeles and the Nike Headquarters in Shanghai. The goal of this internship program is to create a pipeline of highly qualified interns interested in full time employment at Glumac once they graduate in June. Applicants must be students expected to graduate with a mechanical or electrical engineering degree, have a minimum cumulative GPA of 3.2/4.0, and the ability to work up to 10-20 hours per week starting in March until graduation with a potential offer for full time employment. Please submit resume to Jfong@glumac.com. They are looking for engineers that have experience working with fast-paced environments, and are very familiar with simulation-driven product development, i.e. creating virtual prototypes and running computational simulations to predict performance with technologies like ANSYS. They are looking for electric machine, power electronics, embedded software, systems, vehicle, aerodynamic, and battery and thermal engineers. An 11th grade student is in need of math (Pre-calculus) tutoring services. She needs help with after-school homework assignments and general understanding of primarily her Pre-Calculus math class with possibly some general Physics. Contact Mr. Maghen at 310-896-8296. The Wireless Health Institute (Prof. William Kaiser) is looking for 2 undergraduates to work part-time on several projects. Basic understanding of electrical engineering concepts is required. This is a paid position requiring a 10-20 hour commitment per week. Applicants should be undergraduate students majoring in computer science, computer engineering, or related field with GPA of 3.0 or higher. Program date is from June 2, 2015 to August 7, 2015. Students are offered a specific project and will work with their faculty and graduate mentors on individual research projects. The Nestle Diversity Leadership Symposium is a 4-day business program targeting diverse undergraduate student leaders interested in a career in business and jump starting a possible career with Nestle USA. Applicants should be interested in one of the undergraduate programs in the following business functions: Finance/Accounting, Operations/Engineering, Sales, Supply Chain/Procurement. The program will take place August 18 – 21, 2015 at the Nestle USA headquarters in Glendale, California.